Ease back into a nighttime routine with these five tips and free printable. The time has finally come for the littles to go back to school. This year it’s even more stressful around here because not only are we starting back to school but in less than a month we will be adding a little sister to our family. As excited as we all are to make new friends, go to school and meet our baby, mama is also stressed about making sure everyone is healthy, well rested and taken care of. If you’ve been reading Tastefully Frugal for some time you know I’m a big fan of habit and routine. I’ve learned with kids, and with me too, a new routine isn’t something I can just start one day. I’m more effective at keeping a routine if I ease into it. So today I want to share with you how we are easing into our nighttime routine for school time. 1. Don’t set a bedtime. 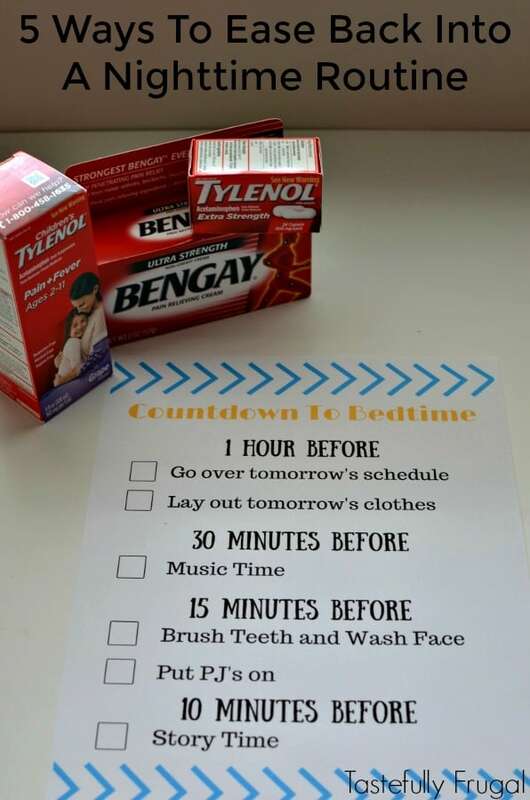 This may sound weird because you want the kids to get to bed at a set time every night right?! Of course we do! But telling kids, no matter what the age, that they have to be in bed by a certain time only causes a struggle of powers. 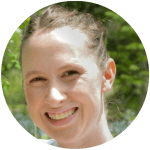 What I do is figure out an appropriate bedtime based on what time my kids need to wake up the next day (I like my boys to get at least 11 hours of sleep a night so if we need to be up by 7am, we need to be in bed by 8pm). I don’t tell the kids that’s their bedtime, what I do is start preparing for bedtime an hour before that time. They are currently going to bed between 8:30 and 9 so I’m slowly creeping up the start time of our bedtime routine so that it starts at 6:30 or 7. 2. Plan for the next day. Like I said, our bedtime routine starts one hour before bed by talking about what we have going on the next day. Are there papers that need to be signed? Carpool issues we need to figure out? Soccer practice after school? If we talk about what we have on the schedule for the next day we can plan accordingly and not have to stress in the morning when something comes up. We also lay out our clothes for the next day at this time. If there is a certain shirt someone wants to wear that is dirty, or no clean socks, it’s a whole lot easier to get a load of laundry started an hour before the kids get into bed than waiting until midnight or when you wake up in the morning. 3. Have cool down time. Especially during the last days of summer when we are trying to squeeze every last ounce of fun out it may seem easiest to wear the kids out all day and night and then put them to bed. I thought the same thing but have found that if we do that my boys stay up talking and talking for almost an hour. What we’ve started doing 30 minutes before bedtime is listen to some relaxing music (they love Baby Mozart), sing a song or two and finally read a chapter out of a book. We used to read story books but I’ve found it helps my kids if we read chapter books (Roald Dahl is our favorite) that help my kids use their imagination. Bonus, they think about the story when they lay down and fall asleep quicker too! In between music and story time is when we brush our teeth and get our PJ’s on and brush our teeth. 4. Have a nice, cool and dark room. This is especially important when it’s still light out when the kids go to bed and when mom and dad are staying up watching TV or working. I’m a big fan of black out curtains and a fan. I don’t like to point the fan at their beds when they are sleeping (I’m worried they might get too cold at night) but rather point it towards a wall or the ceiling above their beds. The sound of the fan acts as white noise to help them sleep and it cools the temperature in the room down a few degrees; which helps cut down the electric bill too so we don’t have the AC running all night. 5. Be prepared. There is nothing worse than having your little one tell you they’re sick when they’re getting ready for bed (or in the middle of the night) and realizing you don’t have anything to make them feel better. And for us, with going out and having as much fun as we can the last few days of summer, we’ve all come down with one sickness or another. It’s best if you have any medicine you may need on hand so you can take care of those tears right away. 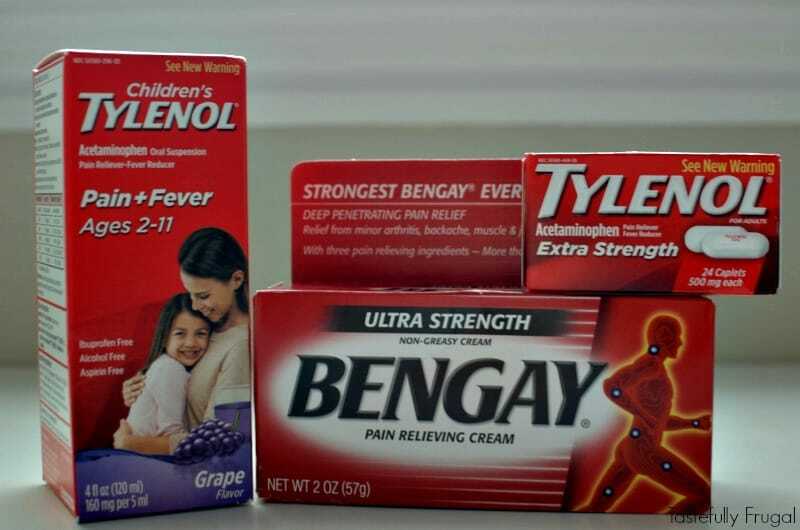 I always have Children’s TYLENOL® (#1 recommended brand by pediatricians to reduce pain and fever), Extra Strength TYLENOL® (it gives me fast relief for back and headaches and doesn’t irritate my stomach) and Ultra Strength BENGAY® Cream (helps relieve those aches and pains I get chasing after the kids all day). When I was back to school shopping at Target I made sure to stop by the over the counter medicine aisle and pick up an extra box of each. 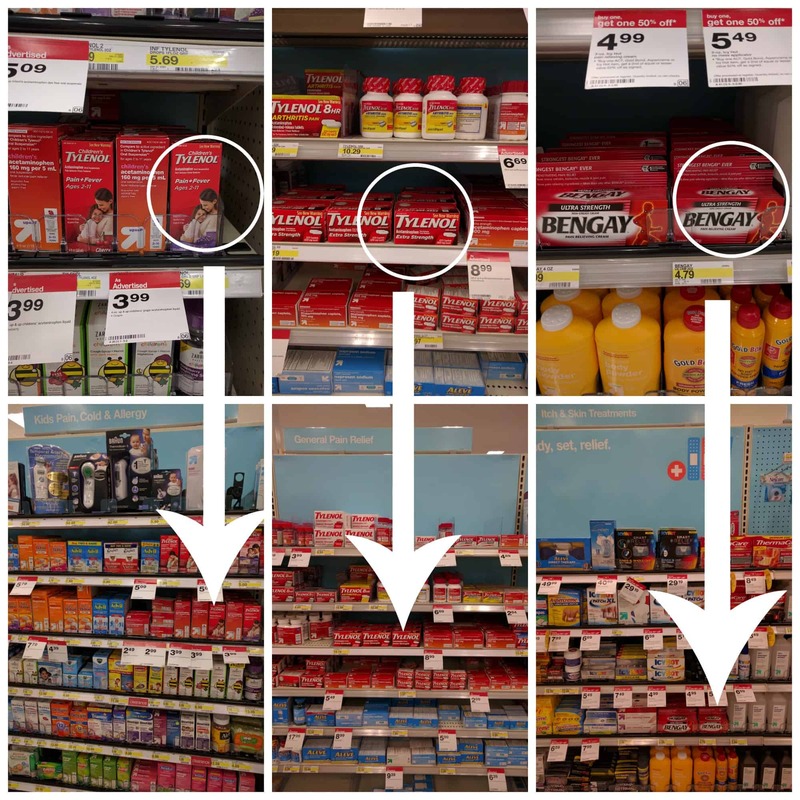 You can get positively prepared with the right pain relief for you and your family at Target too! 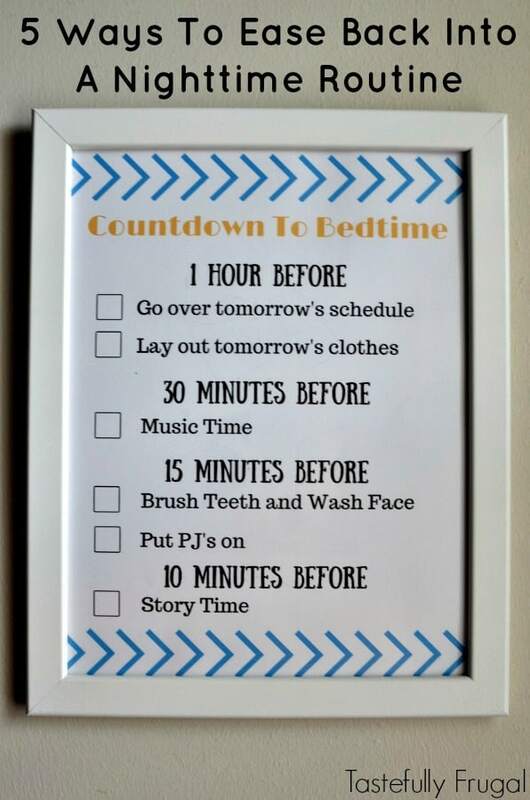 To help us stay on track with our bedtime routine I made this printable we have hanging in our hallway by the bedrooms and bathroom. My boys must have inherited my love of being able to cross things off their to-do list so they love being able to cross things off as we do them. You can print your copy here. 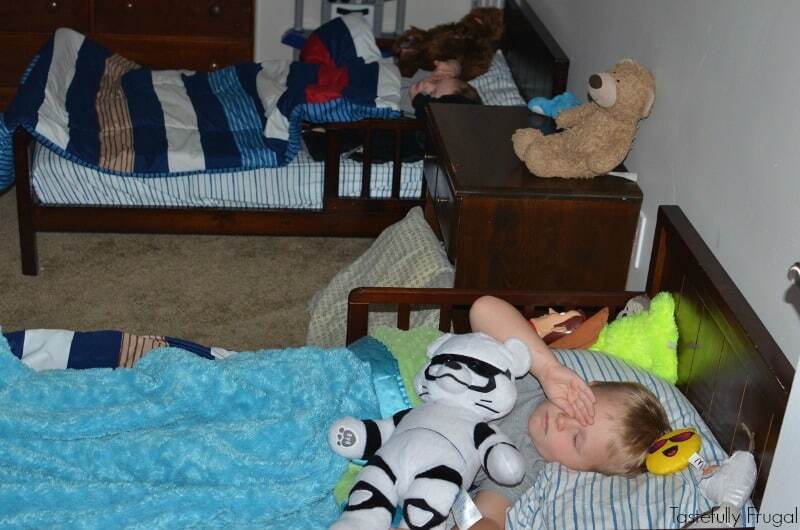 How do you help your kids (and you too) get back into an early bedtime routine for school? Don’t forget to head to Target and pick up all your pain relief needs before school starts! Sometimes I add things to my to-do list (like eat breakfast) just so I can cross things off!